Recently a received a “venting” email from a Beachbody Coach on my team. This Coach brought up some valid points and had some questions and concerns that I’ve addresses with other Coaches in the past. Since these seem to be common questions and concerns, I wanted to make a post about it here so that every any Coach could get this information. Rightfully this Coach was upset, and wanted to know why Beachbody.com offers a payment plan option that is not offered at teambeachbody.com. This issue has been brought up in the past by Coaches and has been address by the CEO of Beachbody, Carl Daikeler. Carl said (2 years ag0) they are working on a way to have a payment plan in the future, but were have challenges because of the current system they are using at teambeachbody.com. So will teambeachbody.com ever offer a payment plan to their customers? Who knows? Maybe they eventually will, or maybe they won’t. As a Coach, it is important to understand that the payment plan is really just a marketing gimmick. And this gimmick is used because it does work, because it sounds good. But lets be honest, how is this different than when a customer purchases the product with a credit card? By purchasing with a credit card the customer is setting up their own payment plan and can pay $10, $20, or whatever amount a month that they want. One may argue that interest will be incurred when using a credit card, but the interest on such a small purchase will be irrelevant. If a Coach has a customer that insists on using a payment plan, a Coach could always create their own payment plan by ordering the product themselves, pay for it upfront, and have it shipped to the customer, then bill the customer accordingly on a monthly basis through a service like paypal. This may be a little extra work, but the idea is to get creative, become a problem solver. For example, when a customer purchases P90x from a Beachbody Coach (TeamBeachbody.com) they get 2 free bonus DVDs ($40 value, and 5 P90x Plus Advanced Workouts (on 4 DVDs), a $130 value (See Image Below). So as a Coach, it is important to know that these bonus bonuses exist, and even more important to communicate these bonuses to the customer and show the extra value they are getting from shopping from a Beachbody Coach, in this case, it is $170 real value. Beachbody actively advertises their website, Beachbody.com, and every time a sale is made, it generates a new customer, which then becomes a customer lead that is passed on to a qualifying Coach through the Team Beachbody customer lead program. The customer lead program is a great incentive for Coaches. And when you think about the power of building a team, and your team members also being able to receive these free customer leads, you can see the power and leverage this can have on a Coach’s business. The best deal Beachbody has to offer is the Challenge Packs, which are not available at Beachbody.com. I always recommend that Coaches push a Challenge Pack over just a workout program. After all, you want your customer to get the best results possible, and proper nutrition plays a huge role in getting results, and Shakeology can simplify the nutritional needs, insuring that the customer maximizes their results. Beachbody wants the Coaches to push Shakeology. This is why Coaches get Success Club points for Challenge Pack sales, and Shakeology HD sales. As a Beachbody Coach, it is very important to get on board with Shakeology. In order to be successful in this business, Coaches need to be drinking Shakeology themselves, as well as recommending it to others. 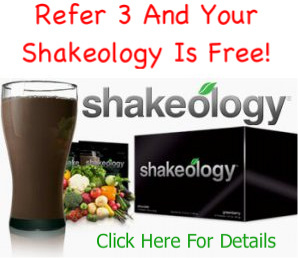 Shakeology is a consumable product, which means a customer uses it up, then has to re-order it, hopefully every month. The workout programs on the other hand, are ordered once, and can used used forever. I was told by the people at corporate that a Shakeology customer is 7 times more valuable for a Coach then a customer that just purchases a workout program, which makes sense. Coaches need to look at things from a business perspective and realize that the workout programs, while great products, are really just a lead in to Shakeology. Another thing to consider is that all of the Shakeology sales made from Beachbody.com are given out qualifying Coaches that have qualified for Success Club. So for example, because I consistently qualify for Success Club, I’m given Shakeology customers, and the commissions, and sometime these customers order on monthly autoship, and I receive that commission every month. I agree that things are not perfect, their can be many things that Team Beachbody could be doing a better job at in term of their website, landing pages, checkout process, lack of upsells, and etc, but these are things that we just have to deal with as Coaches. We have to work with what we have. 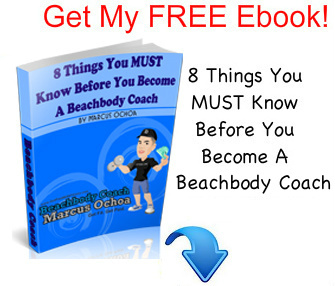 The fact of the matter is, there are many Coaches out there that are very successful, and these Coaches have the exact same websites, and the exact same tools as every other Coach has. This is a challenging business, and it is very important that Coaches learn from their experiences. There is no such thing as a “bad” invite, a “bad” sharing experience, a “bad” challenge group, or a “bad” experience in general, as long as we learn from that experience so we can do a better the next time around. We learn from our experiences and mistakes, its how one becomes good at anything in life.